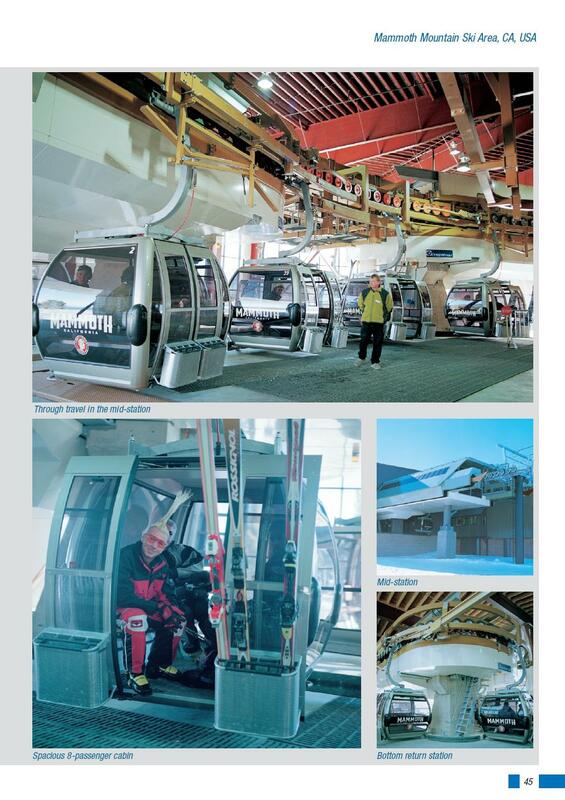 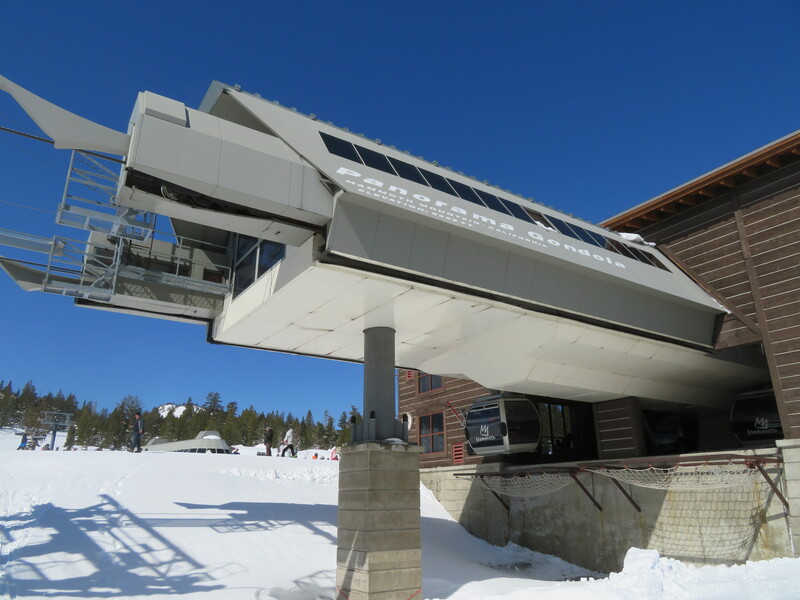 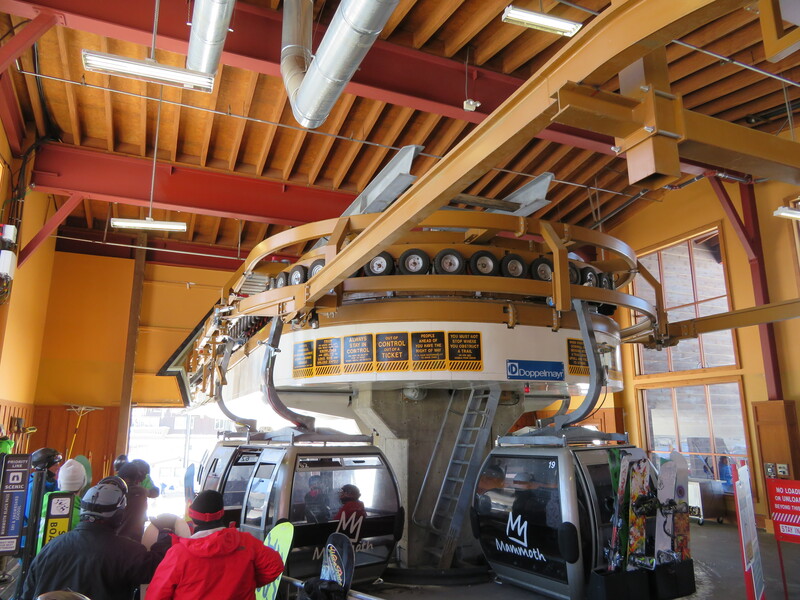 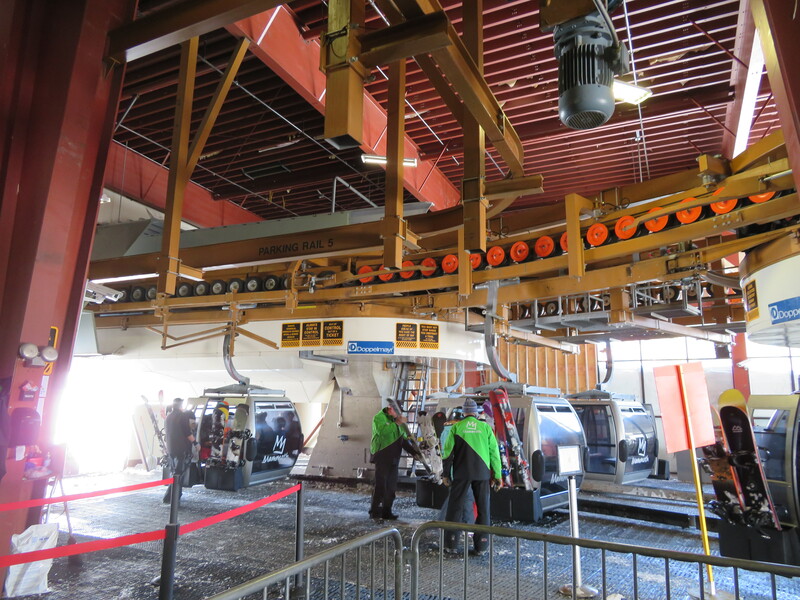 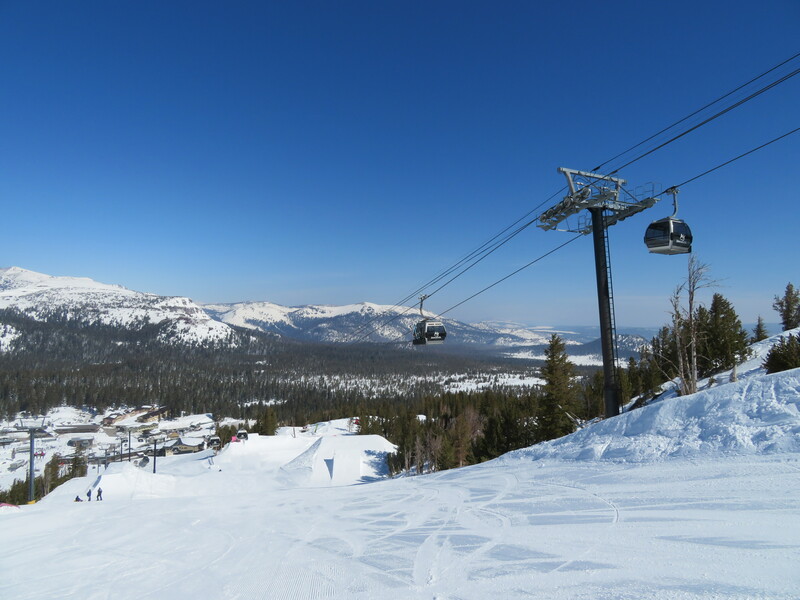 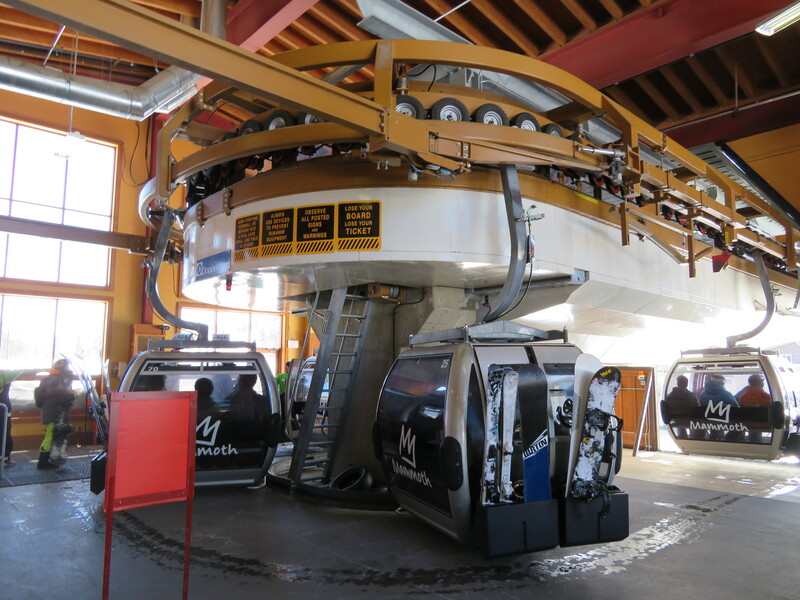 The Panorama Gondola is split into two sections that can operate independently with an angle change between. 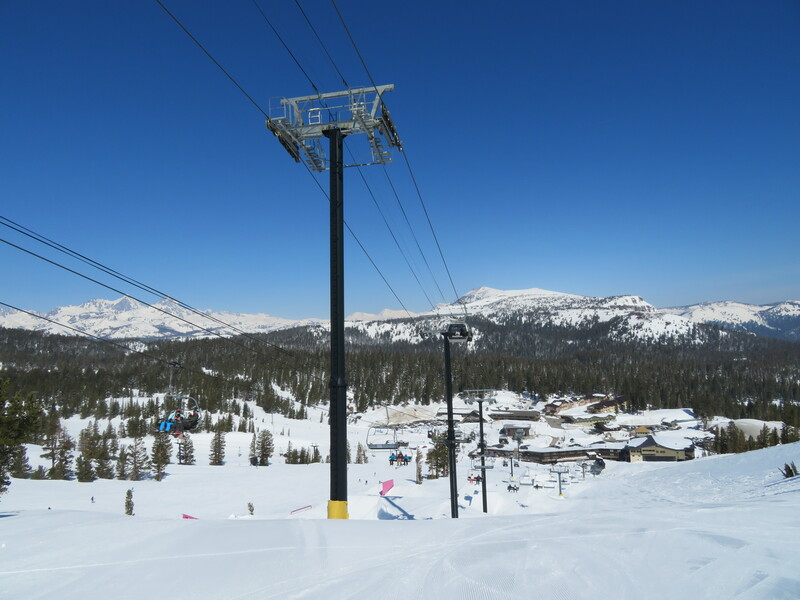 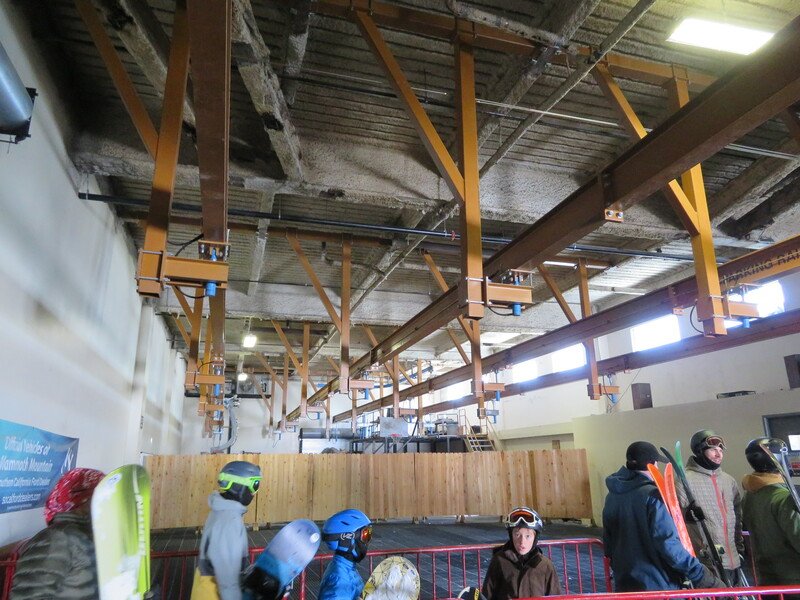 Lower lift line in the Unbound terrain park. 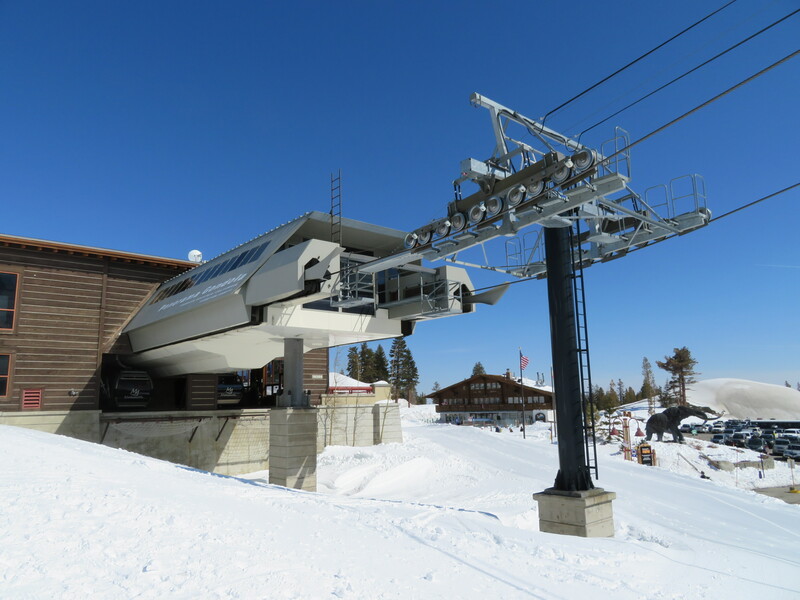 Crossing over the Unbound Express. 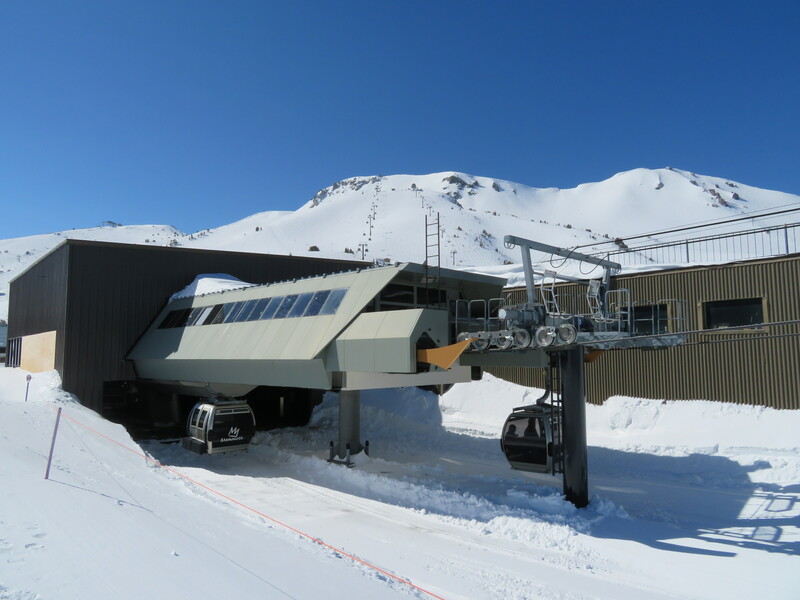 Turnaround and small parking rail. 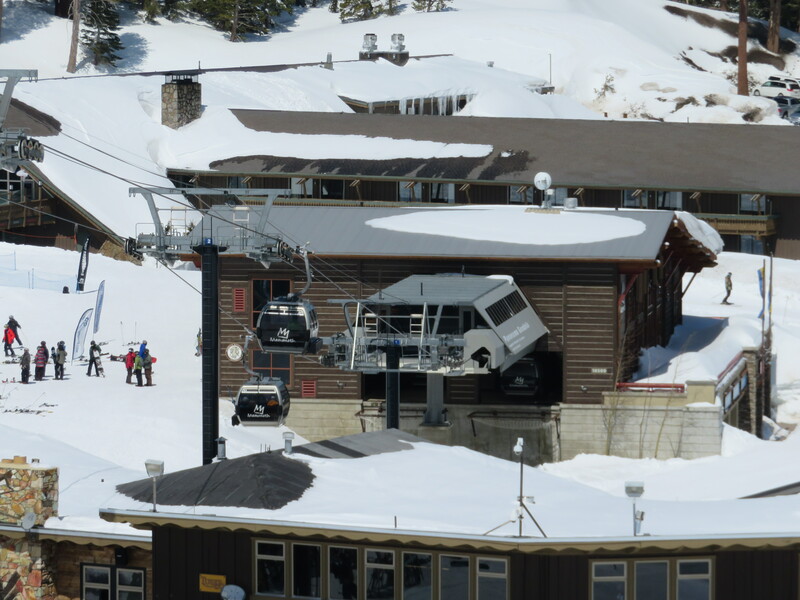 More parking in the mid-station. 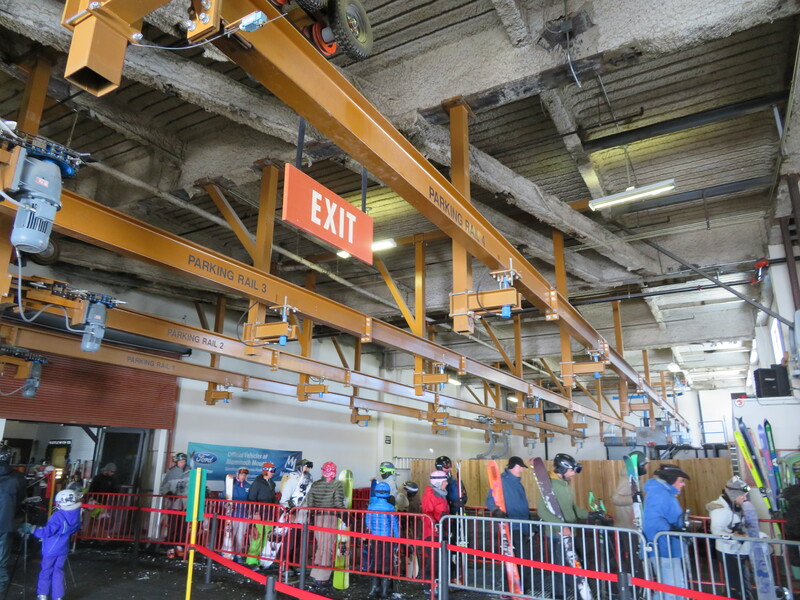 I noticed both Panorama stages have these extra covers over the trumpets. 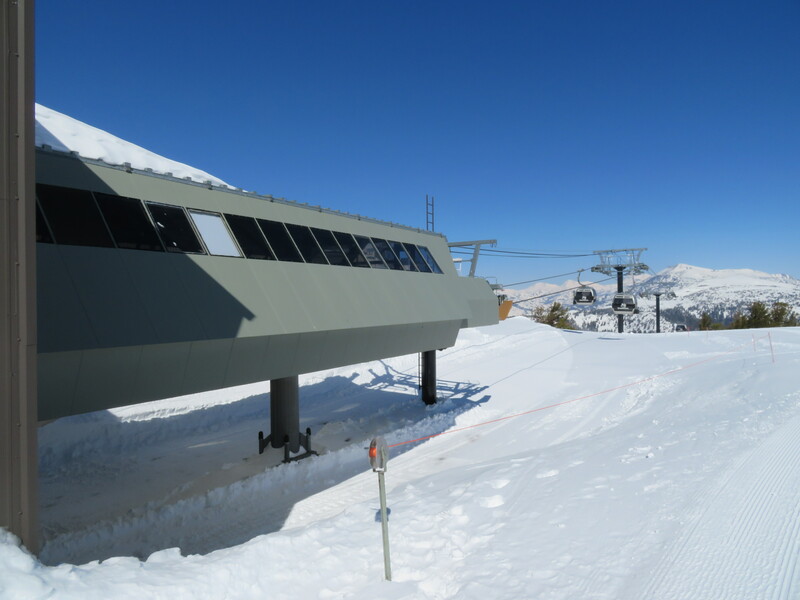 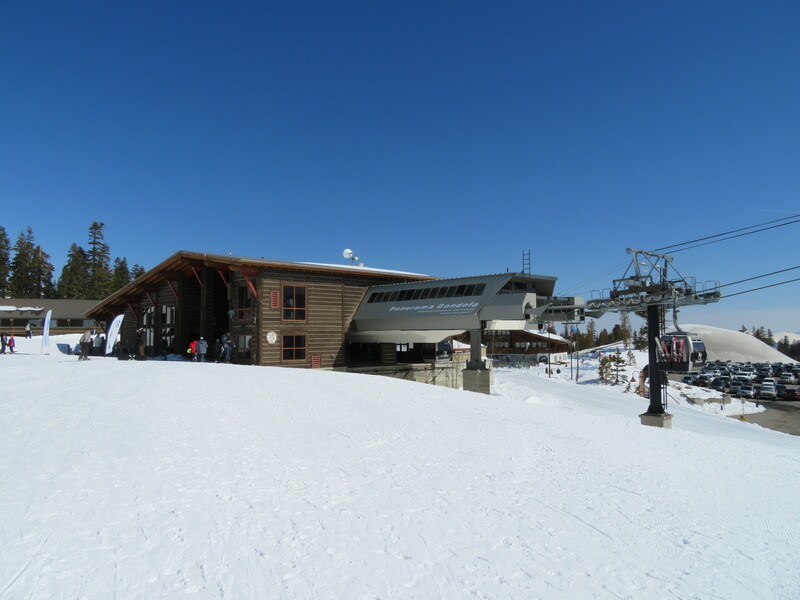 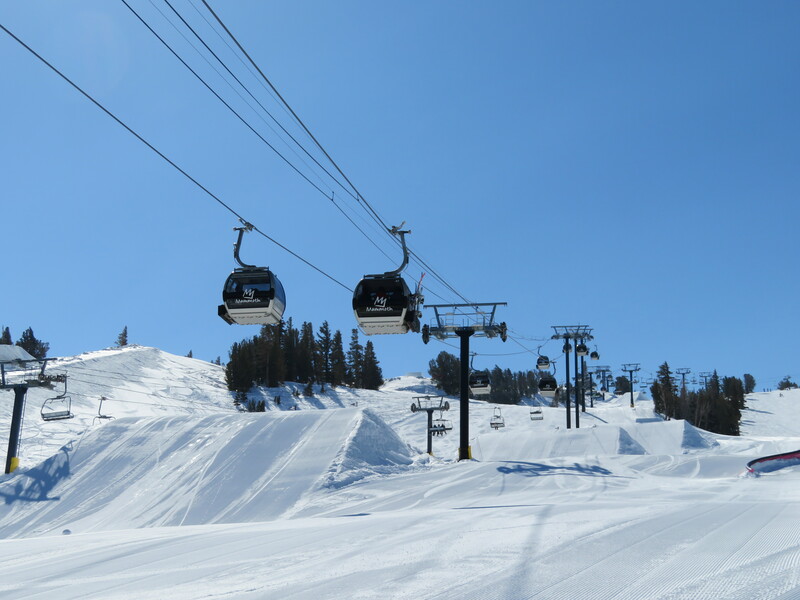 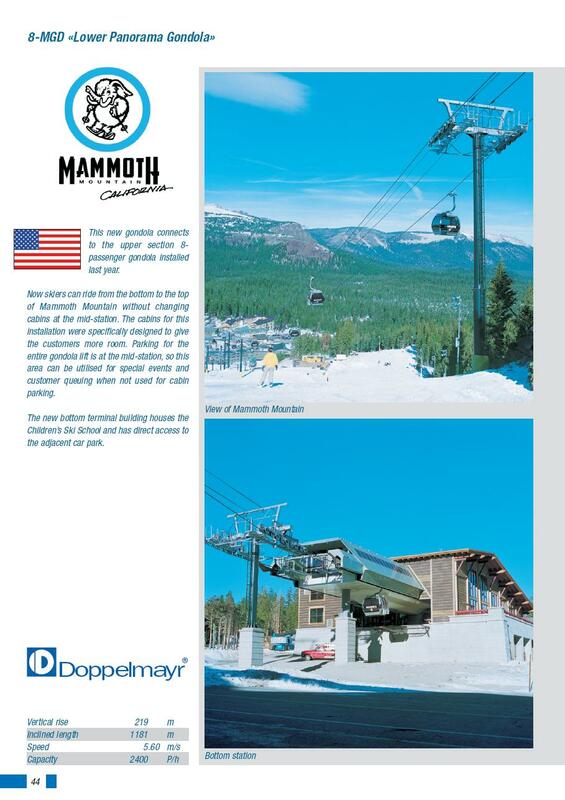 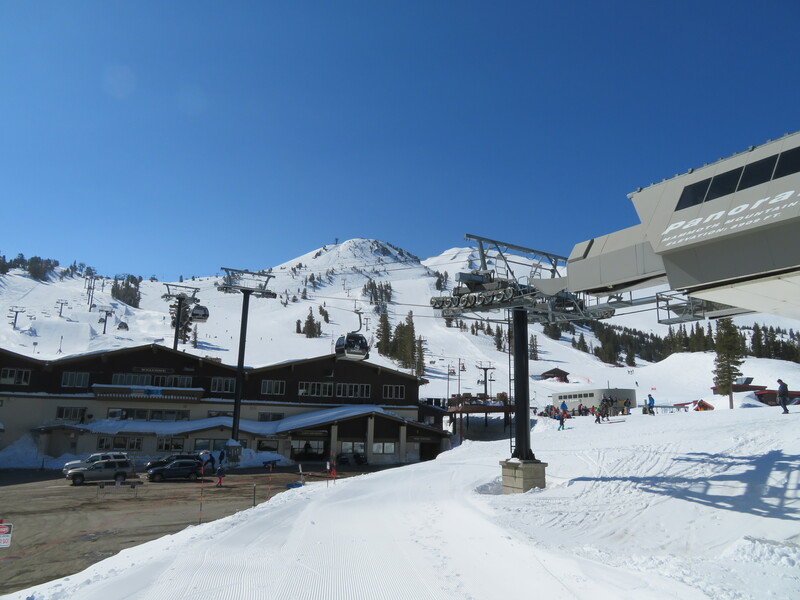 For all the UNI-Spacejet gondolas of this era, I noticed that Mammoth has the full covers, Snowbasin has these partial covers, and Heavenly, Whiteface, and Tremblant don’t have them at all.